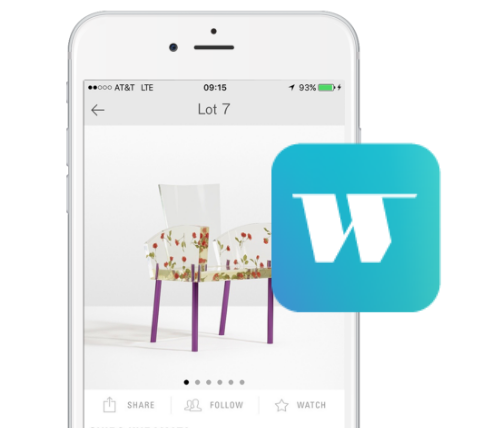 Discover auctions, follow lots, register for sales and bid live on your Apple iPhone or iPad. Search Queries should be at least three characters long. Server Error. Please Try Again. This lot has been added to your bid form. To edit, review, or submit your bids view your bid form. Register to bid live online at LiveAuctioneers. To edit, review, or submit your bids view your bid form. To edit, review, or submit your condition requests, view your condition form. Use this form to submit images and details for items that you would like to consign to auction. Need helpful tips? Please be as descriptive as possible including details about an items condition and history. Where did you get the piece and does it have a special provenance? Do you know any details regarding the edition, vintage, designer, or other particulars? Thank you for your consignment request. Our specialists will review your item(s) and get back to you soon. If you have questions or comments please contact us at consign@wright20.com. This catalog has been added to your cart. Please checkout or continue browsing.